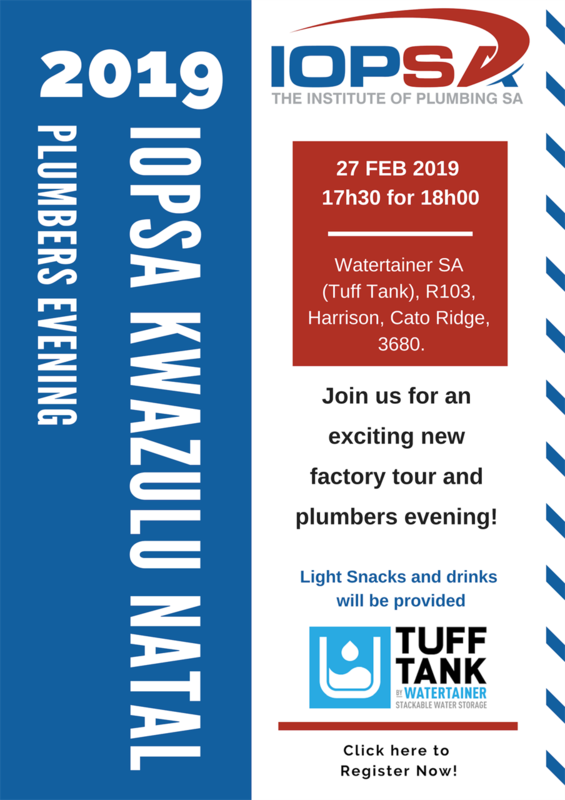 IOPSA - KZN Plumbers evening and EXCITING NEW factory tour! KZN Plumbers evening and EXCITING NEW factory tour! KwaZulu Natal Plumbers evening and EXCITING NEW factory tour! Venue: Watertainer SA (Tuff Tank), R103, Harrison, Cato Ridge, 3680.